Message 240243 - Posted: 31 Jan 2006, 11:21:54 UTC - in response to Message 240237. I definitely agree. I imagine with the account deleted the exploited computers will run out of WU's and continue trying to contact SETI. Message 240248 - Posted: 31 Jan 2006, 12:22:23 UTC - in response to Message 240243. I imagine with the account deleted the exploited computers will run out of WU's and continue trying to contact SETI. Based on the way Seti@home Classic was shut down, and with BOINC having the ability to "update" installed science applications, I imagine the Berkeley staff would have a way to pop a message up on each of those hacked systems and to cause the program to self destruct in some way. Message 240249 - Posted: 31 Jan 2006, 12:23:41 UTC - in response to Message 240243. I smell foul play. Someone has made BOINC the payload of a trojan. Message 240250 - Posted: 31 Jan 2006, 12:27:39 UTC - in response to Message 240249. And the account belongs to a company ---> www.esc-consult.de. I'm curious if this was done by an employee and the comany gets bad credit for that one now. Would be interesting if someone could/would contact them the hear what they have to say about this. 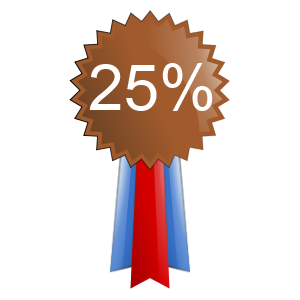 Message 240251 - Posted: 31 Jan 2006, 12:30:27 UTC - in response to Message 240250. Hmm, very interesting and very dangerous for the project and for the community!!! Can someone of the people here having direct wire to Rom or others at Berkeley assure that they are aware of it, and taking the necessary steps to avoid banning BOINC by antimalware, antivirus and firewall software and before it makes news in some IT magazines? I know the user ID quite well - I noticed him when he, as the leader of SETI Germany with increible RAC of ~70k (now it is even more) left the team and created his own one just few weeks ago. I found it very strange, but since there were others leaving the team shortly after (including some well known forum members), I thought there were some internal conflicts behind it (we just seem to have one at CNT too). I find it very important that some officials make the necessary steps to avoid more damage. I hate to tell it, but this is a criminal activity, and the author of the act desires to be investigated by the police. I hope for him that he is innocent and it was just some stupid friend of the victim who installed it manually (though it definitely does not look like). Message 240271 - Posted: 31 Jan 2006, 14:20:43 UTC - in response to Message 240258. While this situation does need watching, I don't believe that anything yet needs to be done. As others have pointed out, Classic SETI was also installed 'unofficially' on many machines by various dubious means - The sky didn't fall in. IMO, the more that's said about this, the greater the (uninformed) awareness of the issue. As often happens, the discussiuon/fear/reaction of/to 'security issues' generally wastes more time/creates more upheaval than the threat ever created or posed. Message 240279 - Posted: 31 Jan 2006, 14:34:37 UTC - in response to Message 240271. As often happens, the discussiuon/fear/reaction of/to 'security issues' generally wastes more time/creates more upheaval than the threat ever created or posed. that applies to almost all "security" situations. Message 240282 - Posted: 31 Jan 2006, 14:39:01 UTC - in response to Message 240279. Exactly, therefore no one at Berkeley or anywhere else needs to take any special action, beyond the standard AV and safe computing practices. Message 240285 - Posted: 31 Jan 2006, 14:41:45 UTC - in response to Message 240282. Message 240289 - Posted: 31 Jan 2006, 14:54:41 UTC - in response to Message 240285. Right. My point is that putting the words 'BOINC' and 'Virus' in the same sentence is potentially more dangerous than a destructive BOINC Variant ever could be. As soon as the two words appear together all reason goes from the minds of millions of users and compuer professionals alike and a witch-hunt begins. Message 240290 - Posted: 31 Jan 2006, 14:56:49 UTC - in response to Message 240285. Message 240291 - Posted: 31 Jan 2006, 14:59:44 UTC - in response to Message 240289. Exactly! And as soon as people not having any relation to BOINC start reporting it to media or to antivirus/antimalware companies, you can be sure the impact will be big. Therefore, better make the damage control now! Message 240292 - Posted: 31 Jan 2006, 14:59:48 UTC - in response to Message 240289. Message 240297 - Posted: 31 Jan 2006, 15:14:31 UTC - in response to Message 240291. As an aside: How do the results from this "team" look? If someone is going to do a secret install to get credits, will he/she necessarily use a valid app? Message 240300 - Posted: 31 Jan 2006, 15:22:03 UTC - in response to Message 240290. Explain to the Gestapo it was not you who killed H. Heidrich even if it is apparent your gun was used. In fact, with TPM, your bank wouldnâ€™t even need to ask for your username and password -- it would know you simply by the identification on your machine. Since when is "your computer" the same as "you"? Message 240302 - Posted: 31 Jan 2006, 15:30:37 UTC - in response to Message 240300. You do not get the point. People will not study what is BOINC as soon as it is associated with malware and viruses in some IT magazine article, or when antimalware/antivirus/firewall software starts reporting BOINC as potential intruder. It is pointless to discuss whether it is the owner or the gun who killed, once the owner got bad reputation, the good conscience does not help him a lot to repair the damage. It may safe him from the punisment (and even that does not happen always), but it will ruin his life nevertheless. Message 240304 - Posted: 31 Jan 2006, 15:37:20 UTC - in response to Message 240302. Message 240310 - Posted: 31 Jan 2006, 15:56:00 UTC - in response to Message 240304. That begins to sound better, but is still not sufficent. 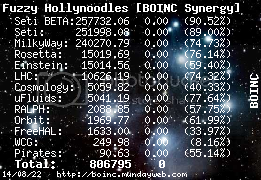 What we need is publicly showing and punishing such cheaters - having Black Boards on the official BOINC and project web sites, where such people will be displayed, accounts and credits removed, and their credits removed from all their present and former teams too. If such people are legally persecuted, it also needs to be shown there - so that it serves as a sufficinet deterrent for other potential followers. If people are fired because of illegally installing BOINC in their jobs, it should be shown there too.